With non-melanoma skin cancer on the rise, representing the most common malignancy, recognition, as well as an appropriate treatment approach is essential for management of these potentially life-threatening lesions. The growing incidence of cutaneous malignancies has heralded the need for multiple treatment options based on the aggressiveness of the lesion, as well as patient-specific factors determining risk. 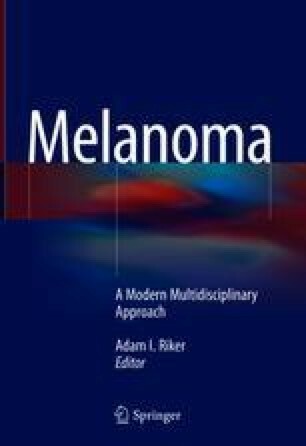 This chapter will start by discussing the incidence and trends of non-melanoma skin cancer. Next, risk factors for the various types of non-melanoma skin cancers, including both genetic and environmental exposures, will be highlighted. Furthermore, education and preventative factors such as sun safety and nonmelanoma skin cancer prophylaxis measures will also be discussed. The main subtypes of cutaneous pre-cancerous and cancerous lesions including actinic keratosis, squamous cell carcinoma in situ, squamous cell carcinoma, and basal cell carcinoma will be presented in detail. Although surgical intervention remains the mainstay treatment for the management of skin cancers, various other treatment modalities and their indications for use will be outlined in this chapter.